Time to pick up that Android device and get ready to play a game that will be hard to keep down. Pocket Legends has made its way to the Android platform and the game is Ohh-so-beautiful; a highly acclaimed game and rated as the 10 must have game for Android by MSNBC. Pocket Legends will be a gamers best friend for sure. Created by Spacetime Studios, this developer has churned out quite a few masterpieces under their name and Pocket Legends takes the finishing cue. Pocket Legends is a 3D Massively-Multiplayer Online Role Playing Game (MMORPG). Here players can join thousand other online players for a truly impressive gaming experience on their Android device. In-game, players get an option to choose their role, so they could either be, the mighty Ursian Warrior, a keen Avian Archer, or the Elvan enchantress. Further players also get to choose and develop their abilities as the game progresses. 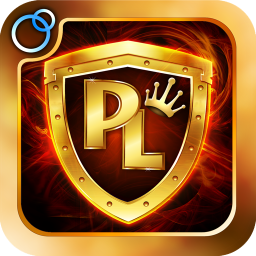 The developers have aimed at making Pocket Legends a free to all experience where players may progress through the majority of content and even achieve the highest rank without making any unnecessary in-app purchases. Purchasing in game “Platinum” offers you the ability to generally save time on your progress or own unique items or equipment. Pocket Legends needs an active data connection and can be played over Wi-Fi, EDGE, 3G or 4G connections. All players connect to the same world and play on a single server set. Overall, Pocket Legends is a game and packs in the appropriate punch for all MMORPG fans around the world.